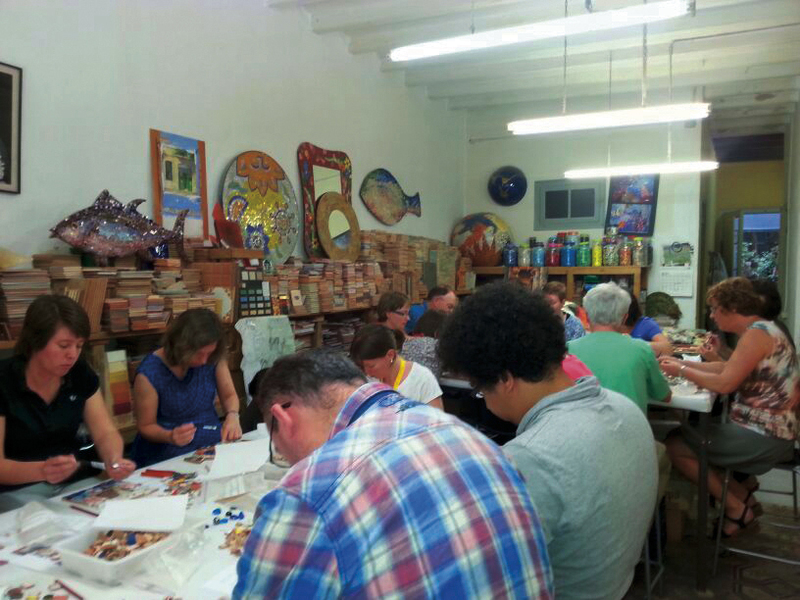 Our craft workshop does mosaic courses. Various levels and techniques. Individuals, family members and groups. We adapt de mosaic course to the characteristiques of the group. 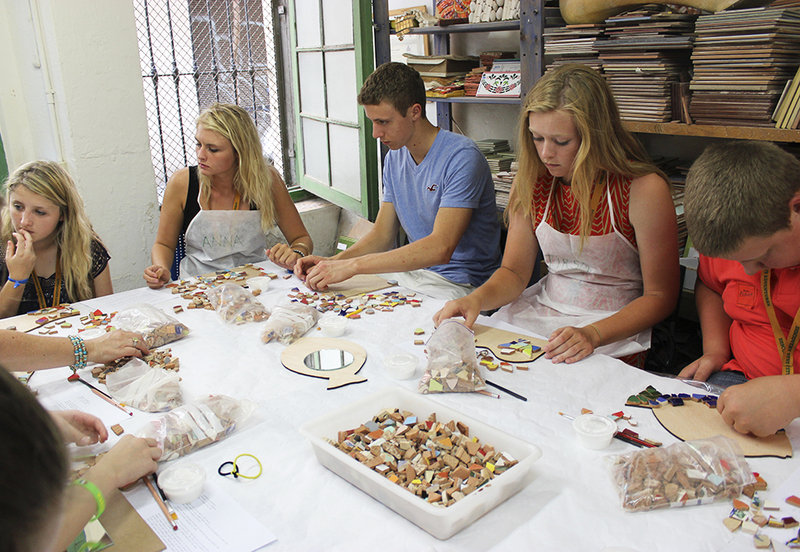 We also make visits to the craft mosaic workshop. If you want to learn their techniques and secrets come to experience with us. 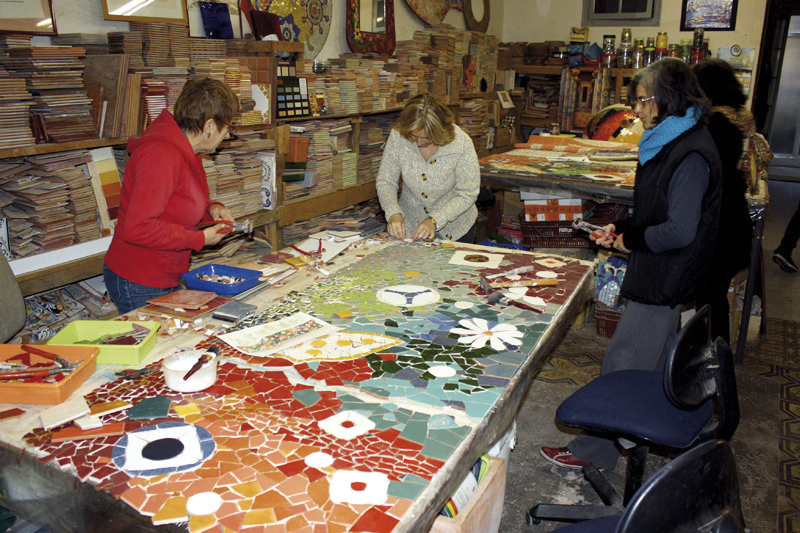 Trencadís mosaic, modernist mosaic, roman mosaic and contemporary mosaic. for companies, events and tourism. 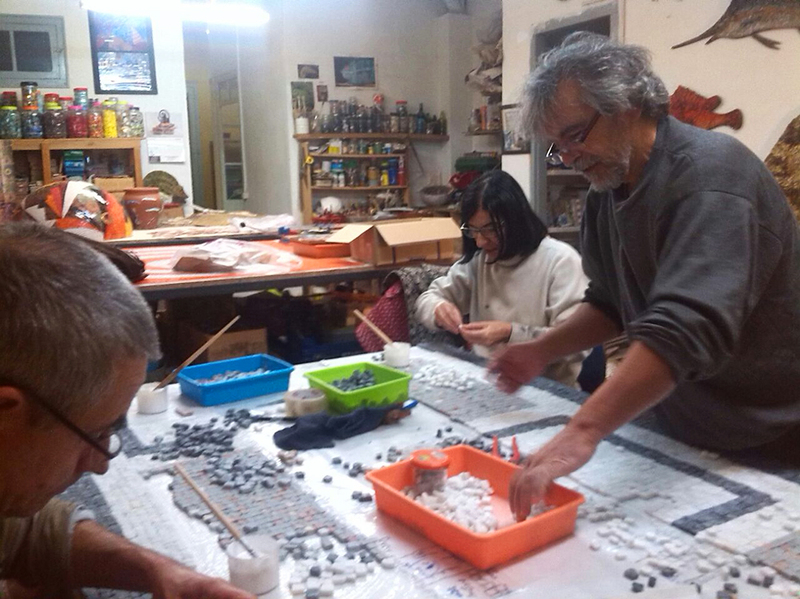 «Trencadís» technique, making an individualpiece. 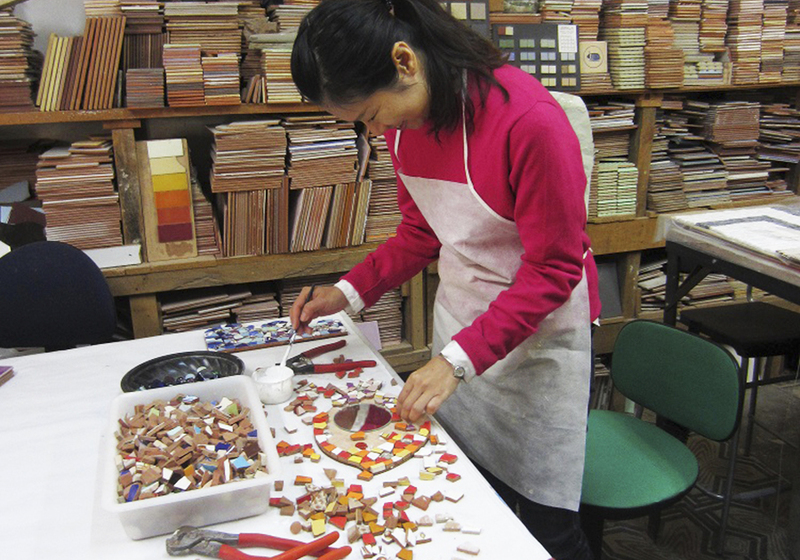 Basic techniques of mosaic, making an individualpiece. 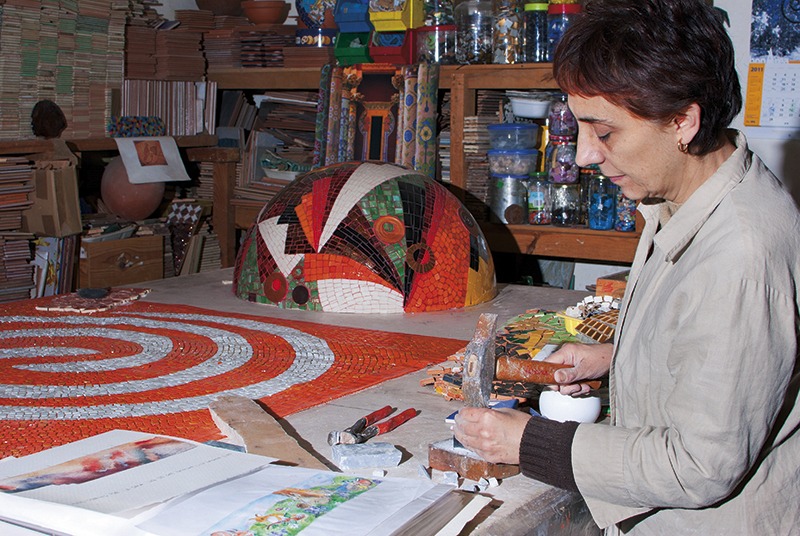 Develop your own artistic work in mosaic. Ajuntament de Barcelona (City Council). During the visit, a demonstration is performed.